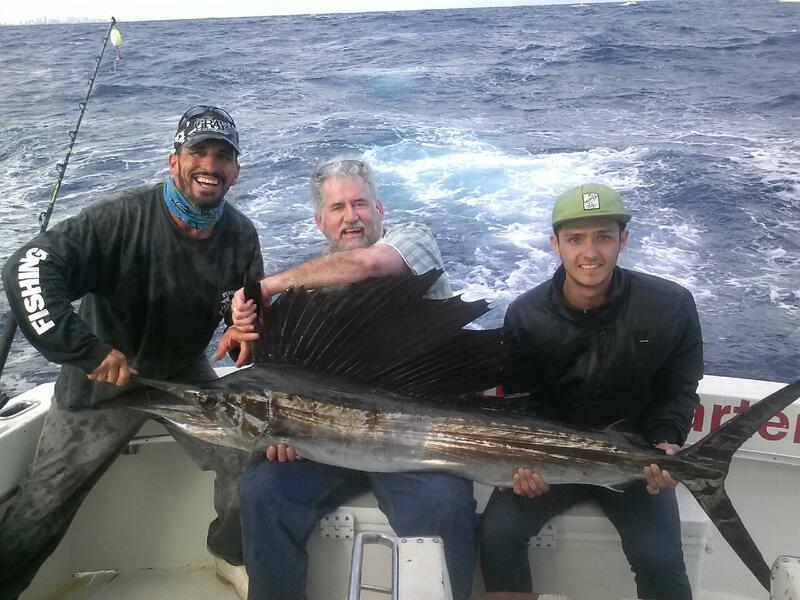 Jay with a big sailfish just caught on a Ft Lauderdale sportfish charter. 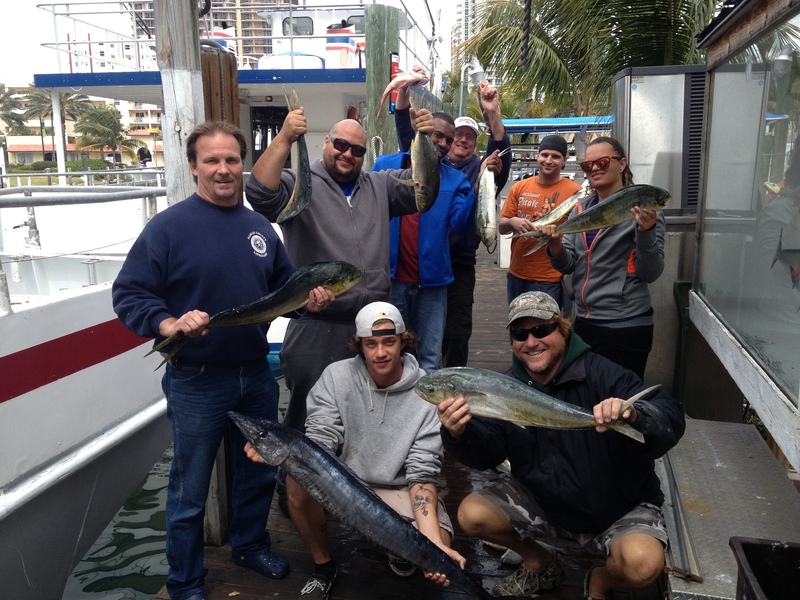 It’s been a great couple weeks of dolphin fishing in Ft Lauderdale. The dolphin are coming in pretty close, almost into the reefs. The best bite is happening in 200-400ft of water. Most dolphins have been schoolie sized, with quite a few gaffers mixed in. The other day, Capt. 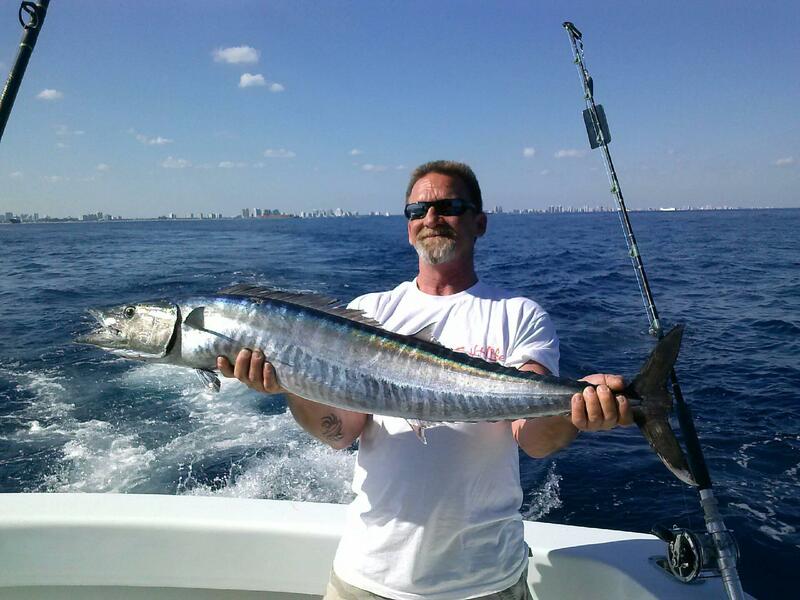 Rod caught a humongous bull dolphin, a 50 pounder. 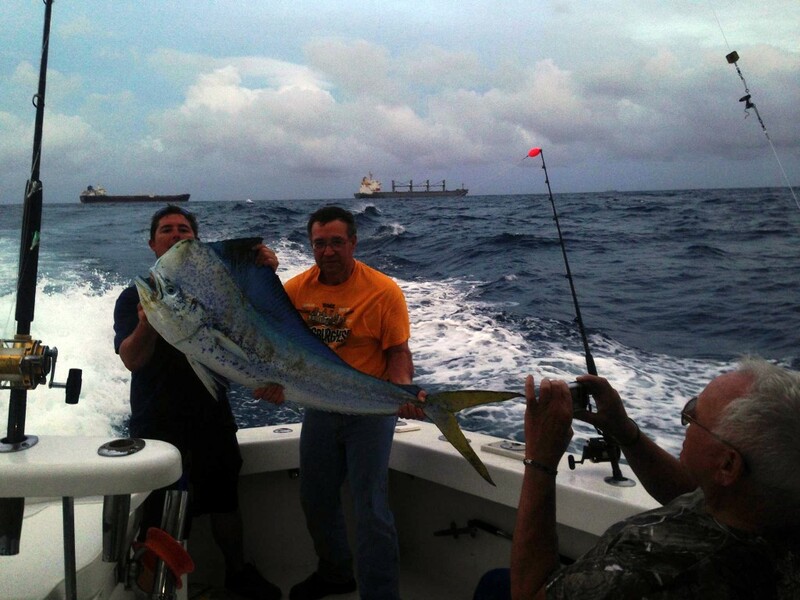 This is the season of big fish in Ft Lauderdale. 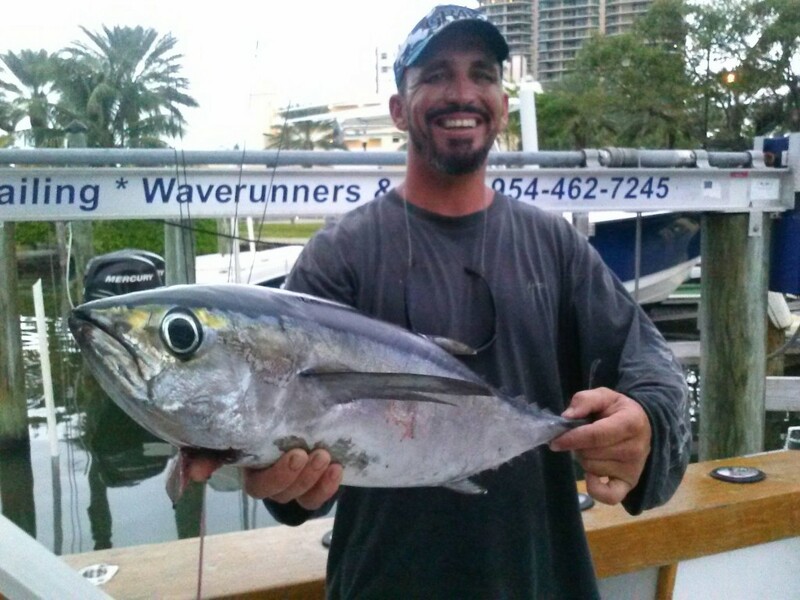 Blackfin tunas are also abundant on the reefs this time of year. They school up into large pods of fish and you can see them “busting baits” on the surface. Most of these are football sized fish with the occasional really big one. They are all keeper sized though and excellent eating. When trolling, along with the blackfin tunas, we’re catching a few kingfish and sometimes a big wahoo. 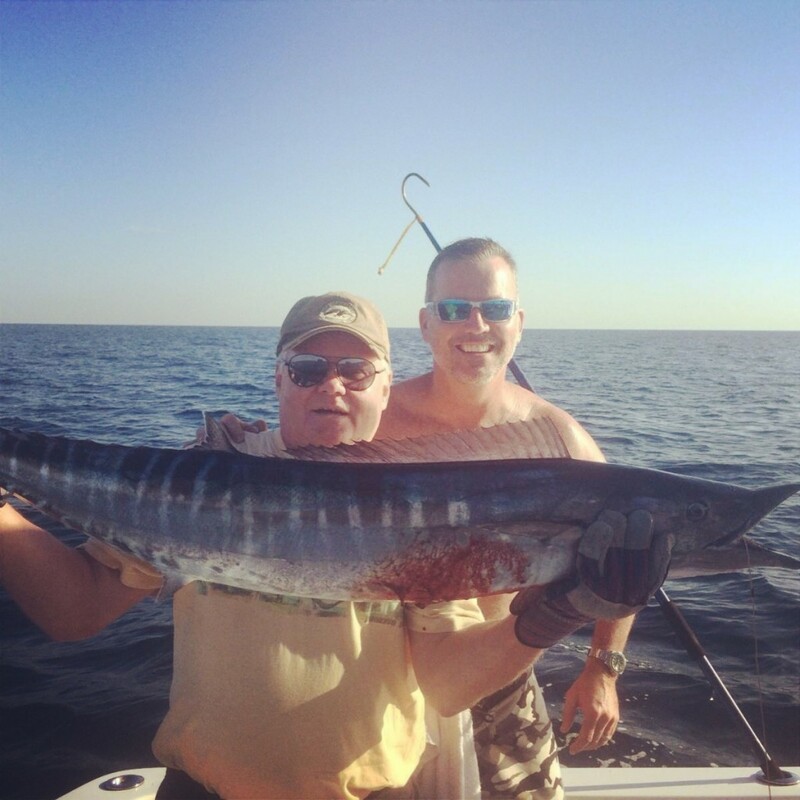 Sailfish are biting too! 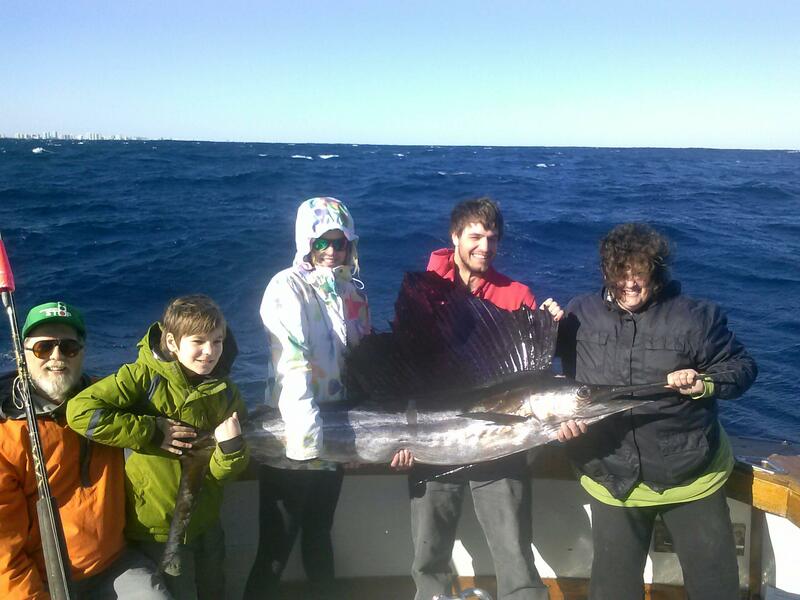 We’re into the last leg of our awesome sailfish season too. Sailfish bite throughout the year here in Ft Lauderdale, but the winter months have the highest concentration of them. We’re catching sailfish consistently using the kite fishing technique and sometimes by trolling. 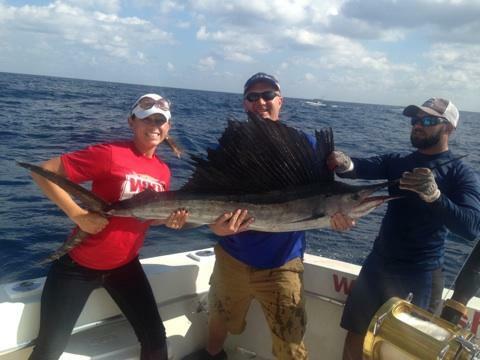 Sailfish are approximately 7ft in length and are one of the most sought after gamefish in the ocean. They are one of the most fun fish to catch, with their leaping and somersaults high into the air. The chilly weather really gets them frisky and the coldest days (cold for Lauderdale is like 65-70 degrees) are when we catch the highest numbers of them. Wreck fishing is best during the Spring but the bottom fish are already starting to move in and take their places around our local deep shipwrecks. 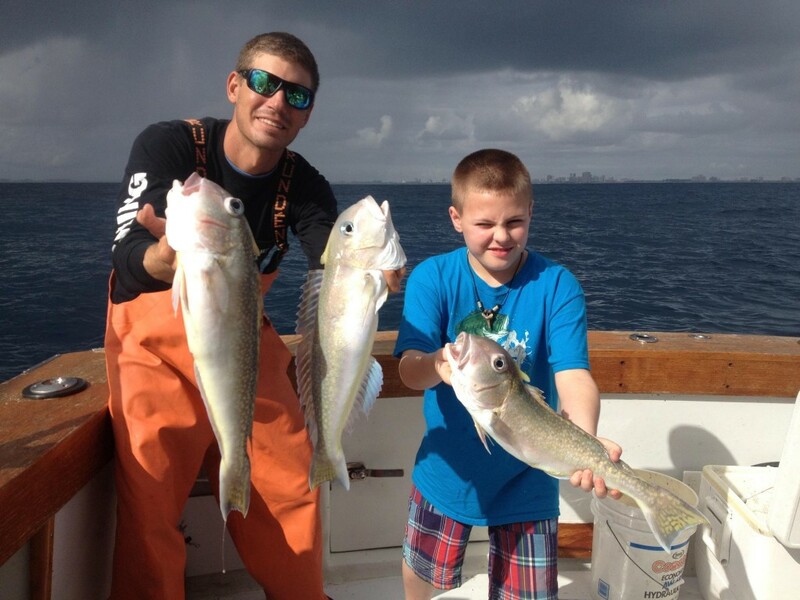 Big amberjacks are beginning to bite, a few groupers and an occasional cobia. You can also catch barracuda, sharks or just about any top predator fish around these underwater structures. The fishing is getting good, so come on out and wet a line. You can’t catch them unless you go out there and give it a go. Sea ya on the water.